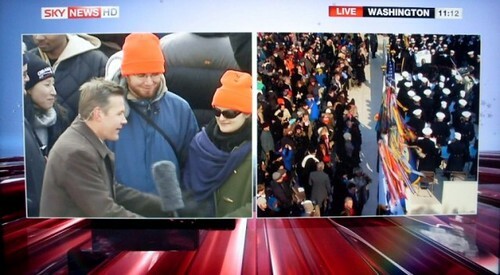 For those in the States interested to see what the inauguration on-air graphics looked like in the UK, here are some shots from the Sky News HD broadcast. 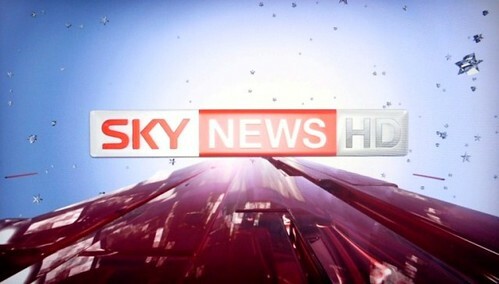 This is the first Sky News broadcast in HD. 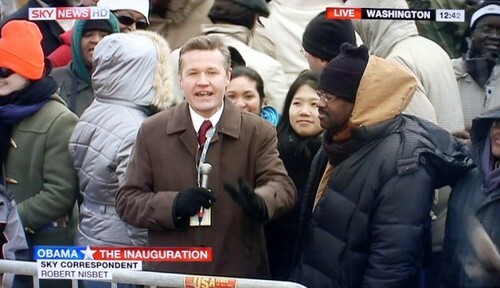 It was presented by Jeremy Thompson and Adam Boulton, and ran on Sky Arts HD. If you were one of the millions of Americans watching historic coverage from ABC News, NBC News, CBS News, FOX News, CNN, or MSNBC, (in my case BBC News) you might have noticed gentler, softer graphic elements commemorating the inauguration of our 44th President. 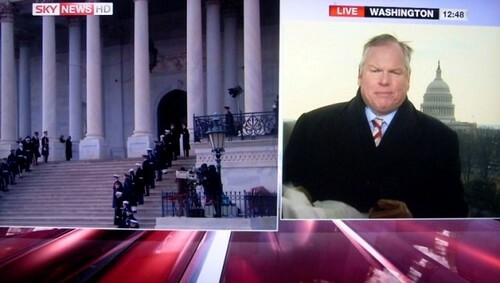 Most networks provided an uncluttered look at the celebration in Washington, while MSNBC dropped the ticker.